Sid created a new sport called Play-Doh Ball! You just jump in the air, spin around, then bounce the ball. When Sid attempts to play his new game, he bounces the Play-Doh Ball, and it promptly splats on the ground! 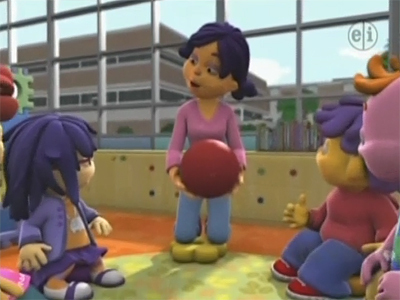 At school, Sid and his friends investigate and discover that if a ball doesn't have enough elasticity, it won't bounce!